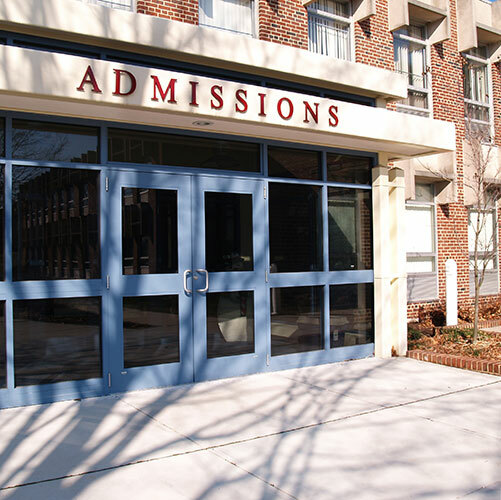 Yes, financial aid impacts admissions. Choose policies wisely. 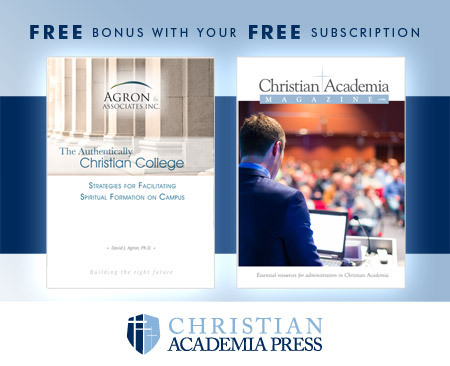 Christian colleges, universities, and schools face a myriad of challenges that threaten much-needed revenue streams. Demographics are evolving in ways likely to create enrollment challenges. Both Christian and secular institutions face declines in the student market. Tight budgets across the country mean stagnating and in many cases, declining investments in state and federal support for higher education in the form of financial aid. National and regional economic downturns and historically slow recoveries have impacted the ability of students and their families to pay for Christian higher education. The desire to help students afford college is translating into growing discount rates. At some schools, out-of-control discount rates threaten the financial viability and, thus, the very existence of some colleges and universities. Enrollment growth is critical in order to thwart these financial challenges yet many institutional leaders lack the experience in and detailed knowledge of enrollment management necessary to grow and increase revenue. As a result of these challenges, the financial aid operation at your Christian college or university can have an enormous impact on institutional success. The focus here is not on compliance issues, but on improving policies and procedures in your Financial Aid Office likely to influence institutional outcomes regarding recruitment, retention, and net revenue. So what are some of the warning signs that your institution is in financial jeopardy, and what can be done about them? The idea that institutional aid expenditures are not reasonably predictable and controlled is erroneous. An inability to anticipate and manipulate institutional aid expenditures is a sign of inadequate planning, lack of procedural checks and balances, and an indication that appropriate reporting and tracking mechanisms need to be put in place. Large numbers of students who owe money at the end of the academic year can be a sign of poor collection practices. They can also indicate problematic or unrealistic award policies. 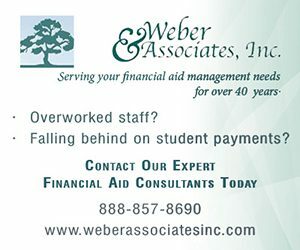 Some institutions operate with financial aid award policies guaranteed to place students and families in situations where it is virtually impossible to meet financial obligations. Review your institutional award policy to ensure that you are not packaging your own collection problem. The implications for both recruitment and retention are real. At the beginning of the term, efficient financial aid operations have more than 98% of all financial aid ready for disbursement. This is true for both new and returning students and includes loans. If your institution is still processing any significant amount of financial aid after the first day of classes, you have a problem. Financial Aid Offices must take primary responsibility for ensuring that new and returning students apply for financial aid and complete their financial aid folders in a timely manner. Applications for financial aid for all students should be tracked throughout the cycle. Representatives in the Financial Aid Office must take all necessary steps, including reminder letters, postcards, emails, text messages, and telephone calls to ensure that all students are packaged and ready for disbursement by the first day of class. The role of the Financial Aid Office in securing new student enrollments and facilitating retention is significant. It is important to review the key elements of your financial aid program for the impact on recruitment and retention. Make sure that the dollar amounts of your scholarship and grant programs are sufficient to attract and retain students. You may need to make adjustments as tuition costs rise. The timing of financial aid awards to new and returning students can also influence student enrollment. Awards to both new and returning students should begin by the end of the first week in January (and the first week of October next year). It is important to set targets and track outcomes. For example, seek to award at least 80% of currently enrolled students by the end of the Spring semester. Examine process and paper requirements to find out if your approach acts as a barrier for students and families. The process of applying for financial aid can be intimidating for prospective students and parents. Unnecessary policies and paper requirements in the Financial Aid Office can further complicate the process. Complicated processes can delay the awards and actually discourage prospective and current students from completing aid applications. Complex processes may even discourage students from enrolling. Make sure you have streamlined the financial aid process for both new and returning students. Reconsider the use of institutional aid applications and professional judgment forms. Make use of third-party documentation sparingly. Remember that additional documentation not only complicates the process and slows the awards, but extra documents in student folders can also increase the possibility of liability as a result of an annual, state, or federal audit. Does your Financial Aid Office generate a weekly report that tracks both average expenditure levels and processing success? It is imperative that colleges and universities track financial aid application rates for new and returning students and take action to encourage students to apply for financial aid and complete their folders. It is also important to track average institutional aid expenditure levels so that necessary adjustments can be made throughout the cycle. If the number of applicants for admission has declined in recent years, it is not altogether unusual. What is problematic is if recruitment strategies and tactics have not changed to reverse the trend. Often, enrollment operations blame demographics, the economy, program offerings or facilities for application declines, when they need to take proactive action and implement new, effective initiatives to attract greater interest. Folder completion refers to the percentage of applicants who have provided sufficient required information (transcripts, tests scores, recommendations, etc.) to generate an acceptance letter or a notification that the applicant has been denied admission. Incomplete admission folders are often an indication of poor communication with admission applicants. If the percentage of applicants either accepted for or denied admission is less than 70% then you likely need to improve follow-up and communication. Are your admission professionals scheduled for evening hours most weeks of the year? The majority of prospective students are either in high school, enrolled in another college, or working during the day, so you need to hire an evening recruitment staff. It is impossible to build relationships, educate potential enrollees on institutional attributes, and effectively communicate by telephone with prospective students if professionals in your office are not available for telephone outreach during the evening when the customers are home. Prospective students are more likely to read text messages and texting is immediate. Email can be an effective form of communication with some students, but research indicates that its utility has dropped significantly, especially for traditional-aged students. Email communication is being replaced with text messaging. Students who visit your campus are more likely to enroll. If your institution has residence halls and enrolls students from outside the local area, you are going to want to see applicant visit rates of at least 30–35%. If your market is primarily local, you should expect applicant visit rates closer to 50%. Visit rates below these percentages may be a sign of a disinterested applicant pool or poor communication and relationship building with prospective students. Identify the cause and take corrective action. Visiting college fairs, high schools, church camps, and other events can be an effective way to generate interest in your school. It must be noted, however, that such travel can be time-consuming and expensive and does not always produce the intended outcomes. If your professionals are spending a lot of time on the road, ask for reports that identify the number of inquiries and applications generated as a result of each visit. Continue travel to events and destinations that are likely to result in enrolled students and discontinue travel destinations that cannot be tied to successful new student enrollment outcomes. It sounds so simple and obvious. Are the professionals charged with recruiting students for your school knowledgeable about your mission, academic offerings, history, co-curricular activities, and do they know how your graduates are changing the world? Take the time to quiz your professionals and test their knowledge base. You might be surprised that they do not know as much as you think. If this is the case, additional training may be required. Many of these pitfalls can be avoided by administrators in top leadership positions taking a more active role in admission and financial aid policy and process. Presidents, Vice Presidents for Enrollment, Provosts, and Vice Presidents for Finance should possess a basic understanding of the tenets of enrollment management, or at least be able to ask the right questions. The greater the understanding, the better the positive influence these administrators can have on enrollment and thus net revenue. John W. Dysart is President of The Dysart Group. He has held leadership positions and provided consulting services in higher education for more than thirty years. Mr. Dysart has consulted with more than 170 colleges and has been able to increase new student enrollments by as much as 70%, reduce or stabilize discount rates and increase retention rates by as much as 7% in a single cycle. Considered a national expert in enrollment management, John Dysart has conducted seminars and made dozens of presentations for 18 higher education professional organizations and has written articles for several higher education publications.